For environments where the care of small babies is paramount, our Easiseal Cassette is a hygienic solution to your nappy changing needs. This refill cassette has been designed for use with the Sangenic Easiseal Maxi dispenser and comes with enough film to securely wrap approximately 155 nappies in one go - around 1 months use. Fragranced to mask unpleasant odours and antibacterial to help with your cross-contamination prevention methods, choose one of our cases of 6 to ensure you always have the stock you need - ideal for maternity wards or busy nurseries. 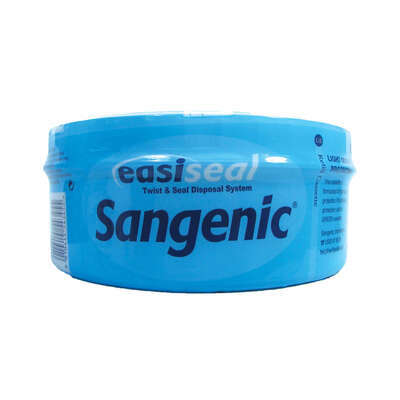 This cassette has been specifically designed for use with our Sangenic Easiseal Maxi.